5 out of 5 stars based on 51 Dental Implants reviews. My experience with Dr. Weierbach and staff was awesome. Everyone from scheduling to the hygienists and billing specialists were courteous, competent and professional. The care that Dr. Weierbach shows to his patients is reflected in his entire team. I began wearing dentures a year before my first visit to his office. In October of 2018, he placed 2 lower implants. The comfort, fit and security his new dentures have given me, compared to my old ones, is surprising. I am a very satisfied. confident and grateful customer. I can say enough of my experiences having serval implants done. I had absolutely know pain having seven implant procedures. I will have more implants procedures in the near future. The office and experiences are the BEST!!! I had dental implants placed approximately 25 years ago with dental crowns done around the same time. As the years progressed, I was never truly happy with my cosmetic result. I was always aware of my crown imperfections. I guess they were okay at the time but I new they could look better. After months of research on finding a restorative dentist that specialized in dental implant crowns, I made an appointment for a consultation with Dr. Weierbach. Dr. Weierbach and his staff were absolutely awesome. They completely made me feel at ease and explained every step of the process. Months later with numerous visits to his office, I finally got the smile that I set out for. It truly is a game changer and has made me proud to smile again. Thank you for your commitment to excellent customer service and the highest quality of dental implant crowns. Dr Weierbach and his staff are exceptional people. They are not only experts in their field but are also warm and caring in all they do. 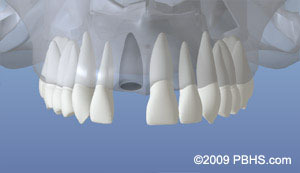 The thought of getting needed implants, a bridge, and crowns to fix my upper failing bridge was daunting and unsettling to me. Dr. Weierbach and his staff were patient and so reassuring during the the entire process. I am completely satisfied and happy with my new teeth. The end result - beautiful ! I have been grinding my teeth my whole life! Even with faithfully wearing a night guard I did extensive damage to my teeth. Apparently, I am an unconscious daily tooth grinder. This left me with few options for repairing my teeth. I was recommended to Dr. Weierbach who developed an comprehensive plan to restore my smile. Not only did Dr. Weierbach create a new smile but he transformed my smile into a more youthful one! No he's not a magician, just a very research-based talented dentist. I trusted his judgment and recommendations every step of the year long process. The best compliments still come from my hustband of almost 40 years who cherishes my new smile! The care I received from the office staff over the year was outstanding. If you have any dental issues that require expert advise , I highly recommend you contact Dr. Weierbach and his office staff. You will be on your way to a more confident, functional smile! I was missing both of my lateral incisor teeth, and I had surgery done for dental implants. When it came time to start the treatment, I had a consultant with Dr. Weierbach and his team. He assured me that I was in good hands-- he was right! Besides getting the crowns, I also had ZOOM whitening done, which I would highly recommend for a quick and reliable way to whiten your teeth. During my treatment, the appliance that held my temporary teeth broke. He and his staff went the extra mile and took time out of their busy day to fix it; they reassured me that if anything like that were to happen, they should be the first ones we call. Throughout my many appointments, the staff always made sure I was comfortable and besides that, they were incredibly personable! Dr. Weierbach and his team of amazing assistants worked incredibly hard to make sure my smile was perfect while making it as painless as possible. The shade of my crowns, the shape, and the length all combine to make a very natural looking smile. I could not think of another person I would want to do my treatment with. If you or anyone you know are looking to get dental work done, Dr. Weierbach is the man to do it! He will go out of his way to make sure every detail is impeccable. Thank you guys! I have been a patient of Dr. Weierbach for 10+ years now and together we have been on a dental journey. I have been and am continually impressed with the doctor’s demeanor, perfectionism & professionalism and his all-around commitment to ensuring a positive patient experience. I had some pretty extensive work done (zygomatic/lower jaw implants and full uppers and lowers) and I am now able to eat anything I want and can laugh and smile the day away. Most important to me (in addition to the dental work), Dr. Weierbach treats you like a friend, not a patient. That friendly and family atmosphere extends to all of his staff. Walking into the office and you are greeted with a friendly hello from Sue, Sherry and Jen. Amanda and Chelsee, Dental Assistants, are great at keeping you at ease while waiting for and undergoing procedures. Nina, my hygienist, keeps my smile pretty and ensures everything is in working order. Dr. Weierbach and his staff are top shelf and you would not go wrong seeking their services. Dr. Weierbach was able to correct the poorly done dental work done by another dentist. The completion of the work is nothing less than excellent and beyond my expectations. I never would've believed that the issues that I had could have beeen corrected. The doctor was able to restore the way I looked and gave me a smile that I thought I had lost. I strongly recommend Dr. Weierbach to anyone who has lost faith in their hope to restore or repair a dental problem. Dentistry taken to a new level! Dr Weierbach recently completed two crowns on my top front teeth. It doesn't get more visible than that! 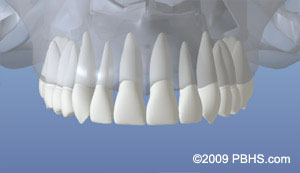 He recommended I replace a very old crown on one front tooth with two crowns of both front teeth to get a perfect match. Even better he suggested they whiten my teeth first so the end result will match the rest of my teeth more closely for a longer period of time. The end result was literally perfection! The size of the teeth was perfect, and the color match was exact. His staff is second to none and their attributes mirror the doctor's own - friendly, competent, attentive and caring.